Seema Jhingan, a Partner at LexCounsel, Law Offices, has more than seventeen years of experience. Seema extensively advises in areas including Mergers & Acquisition, Infrastructure, Telecommunications, Venture Capital & Private Equity, Education, Media & Entertainment, Franchising, Software/IT, Business Process Outsourcing, General Corporate and Commercial. Seema has substantial expertise in representing investors, developers, venture capital and private equity funds, international corporations, sponsors/lenders and other strategic investors involved in the establishment, development and financing of infrastructure, telecom, education, information technology and satellite projects in India. Seema is recognized for her capability of structuring innovative investment models and has considerable transactional experience in representing private equity and venture capital funds and investors such as Providence Equity, Gaja Capital, Kaizen’s portfolio company, LeapStart Trust, Bedrock Ventures, on investment structuring and exits, collaborations & funding, legal due diligence & compliances, shareholders & minority protection issues, escrow arrangements, tax structuring, foreign investment and regulatory/licensing issues including SEBI registration as a VC fund, FIPB approval and other exchange control related issues. Seema extensively advises in the telecom and media sector where she advises satellite services companies such as SES Global/WorldSat, ProtoStar Inc. USA, Mabuhay Satellite Communications, Philippines on operation of foreign satellites in India and ITU regulations; value added services providers such as Iridium Satellite Inc., USA on provision of global mobile personal communication services; companies such as General Electric on closed user group network architecture, manufacturers such Gilat Satellite Networks on tax structuring issues, and media companies such as M.G.R. Spa, Italy and Eaglemoss, UK on regulatory/legislative framework on publication of magazines and part works in India, etc. Seema has been particularly active in education sector and advices education centric companies such as Educomp Solutions Limited, Global Indian Schools, Career Launcher, Educomp Raffles, Laurus Edutech, IndiaCan Education, InterGlobe Education, etc. in the domain of kinder garden to 12th, higher education, vocational training, test prep, teacher training and other unregulated segments in India including on multi-stage acquisitions, strategic collaborations and creative investment structures and joint ventures, statutory affiliations and licensing in the education sector. Seema regularly advises on e-commerce, software and IT laws and regulatory and policy framework as it relates to provision of software and BPO/KPO services. Seema assists companies such as Liqvid, Satellier Inc., USA, Lotus Interworks Inc, USA, Magic Software, Shergroup, UK, in establishment of wholly owned captive units in India, licensing and IP protection, commercial and investment documentation, external commercial borrowings, regulatory approvals, tax efficient structures and transfer pricing related issues. In the Infrastructure sector, Seema advises OJSC Power Machines, Russia on contractual issues concerning the Obra Thermal Power Plant Project awarded by BHEL for supply of equipment for 5 x 200 MW Power Plant and the 60 MW captive power plant at Dahej site in Gujarat. She has advised Russia’s leading manufacturer of steam/gas turbines on its joint bid with Ansaldo India for the Rajasthan Rajya Vidyuth Utpadan Nigam Limited’s 2x660 MW, Super Critical Thermal Power Station at Rajasthan. She has counseled Tyazhmash, Russia on structuring and enforcement issues relating to a US$ 2 million contract for the installation and operation of a MVS-265 Mill for the Barh Thermal Power Plant. She has advised Mitchell Drilling, Australia on collaborative alliance against the tender for geological exploration, drilling, borehole logging, geochemical analysis in India. Seema has been designated as a leading lawyer in the area of IT, Telecommunications & Media, by Asia Law and regularly contributes to journals and publications. Seema often takes up speaking engagements and holds workshops on varied topics such as ‘Outsourcing Legal Services- Meeting Expectations of In-House Counsel’ at In-House Legal Summit hosted by Asian Legal Business; ‘Understanding the Legal Dimensions in Indian Education for Entrepreneurs’ at the Education Investment Summit hosted by VCCircle, ‘Constitution of a Franchise Agreement’ at the Franchise Knowledge Series hosted by Franchising Association of India, ‘Business Partnership Dynamics & PE Funding’ at the Entrepreneur Summit, ‘Franchising and Licensing’ hosted by Wegweiser GmbH at Berlin, ‘Legal Due Diligence’ at Franchise India Series, etc. Seema Jhingan is a member of the International Bar Association and the Delhi Bar Association and registered with the Bar Council of India. The Firm is a member of International Lawyers Network and Alliott Group. Seema has also been designated as a leading lawyer in the area of IT, Telecommunications & Media, by Asia Law and Practice for three consecutive years. Seema is a co-founder of LexCounsel. LexCounsel is a corporate and commercial law firm based in New Delhi with a close network of associate offices in Mumbai, Bangalore, Kolkata, Hyderabad and Chennai. The Firm has a substantial practice representing in the areas of mergers & acquisitions, education, infrastructure projects (power, oil & gas, roads, ports, telecommunications), financial services, insurance, venture capital and private equity, life sciences, media and entertainment, licensing & franchising, software and IT, business process outsourcing, labour and employment, taxation (direct and indirect). With the diverse expertise of its partners and its network of associate offices and professional relationships, LexCounsel is sufficiently well placed to provide legal representation throughout all major Indian cities. The Firm is highly responsive and prides itself on the quality of its work and excellence in legal services. 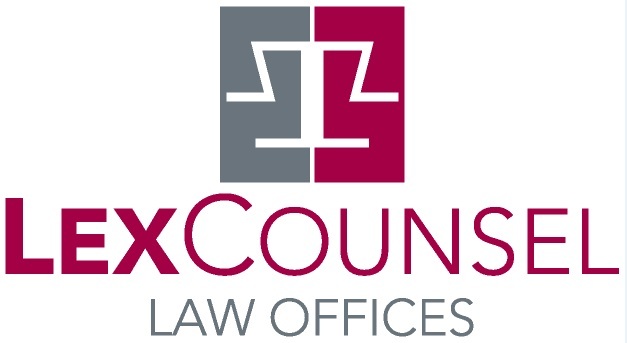 LexCounsel has been nominated and successfully recognized in Chambers and The Legal 500 rankings in several practice areas including Corporate/M&A, Dispute Resolution, Project and Energy, Tax, and Telecommunication, Media & Technology. Senior Partners of the Firm, in recognition of their exemplary work, have been consecutively for three years voted leading lawyers in IT, Telecommunications & Media, Venture Capital and Private Equity, and Labour & Employment, respectively. In addition, other professionals/consultants of the Firm are noted for their work in Project Finance, Mergers and Acquisitions, etc.